An excellent read - The fact that it is a true story makes it even more compelling. It summons the full gamut of emotions. This story manages to combine science and human interest story and socio-cultural and racial issues all into one fascinating read. 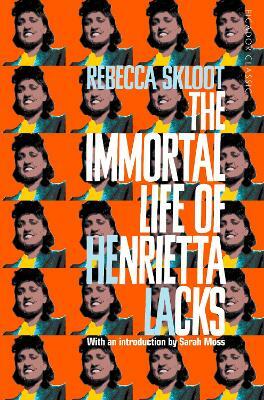 The reader learns a lot about about cell biology without it being a lecture, and unraveling the story of the family of Henrietta Lacks without preaching or pointing fingers, but still listing all the salient facts. Well written. Henrietta Lack was a poor southern black with a large extended family. When she became ill with cancer, her tumors were used in research, and the tissues have replicated themselves for decades. They are still used in breast cancer research and are the basis for the discovery of the BRCA 1, and 2 genes, for which woman can now be tested, and preventive surgery done. It is a line of genetic breast cancer genes that run in families. This story is personal, fascinating, and still in the news- since Henrietta's family had no idea scientists around the world were using her tissue for research...and exposing their personal DNA to the world, as well as making millions off the sale of research tissue. I highly recommend it, and have given it to friends whose daughters tested positive. very readable and interesting as well as a hot topic today. enjoyed the book. writer did a good job of telling the story without filters... i would recommend this book to young people interested in health related work definitely, and for general reading as well.